Where to put an MLK memorial in Boston? 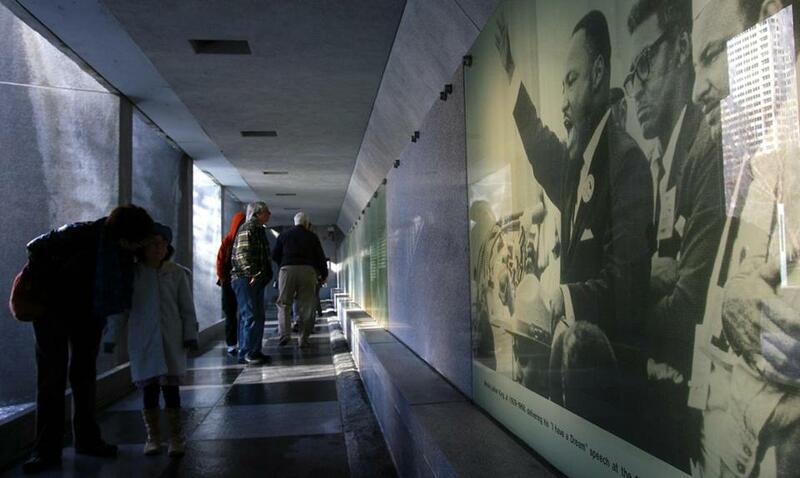 Visitors toured the Martin Luther King Memorial in San Francisco. While he was struggling to come to terms with the aftermath of the 2016 presidential election, Paul English traveled to one of his favorite places: the Dr. Martin Luther King Jr. Memorial in San Francisco. The memorial has become a magnet for people across the city. Its collection of quotations from King’s speechesspeaks to King’s status as an inspiration to the world. And as he took it all in, English — a white entrepreneur from Boston — had a dream. “I thought, ‘I can bring this to Boston,’ ” said English. Thus was born the idea of Boston’s Martin Luther King memorial. Mayor Martin J. Walsh endorsed the idea last fall in a speech at the Greater Boston Chamber of Commerce, giving it cachet and momentum. English, a tech entrepreneur perhaps best known as the cofounder of Kayak.com, has put up $1 million in seed money for the project. He estimates the total cost for a memorial to Martin and Coretta Scott King will be $5 million. There are lots of monuments and memorials around Boston, and many are wonderful. But some are flops. What makes the difference? The idea is probably overdue, given King’s ties to the city. He earned his doctorate at Boston University. He met his wife — then a student at the New England Conservatory of Music — here. 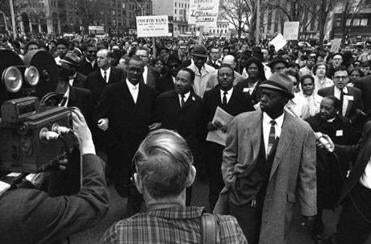 He led a march, in 1965, from the Carter Playground in lower Roxbury to the State House, where he addressed the Legislature. But one big question has already emerged: Where should it go? There’s no shortage of contenders. There are advocates for Dudley Square, near Twelfth Baptist Church, where he preached as a graduate student. You could make an argument for the South End, where he lived as a student. Or Carter Playground, the launching spot for his only major Boston march. Thinking more broadly, there is also the idea of placing it on Boston Common. It’s a central location. It’s accessible in all kinds of ways. It’s already visited by 1 million people a year. Thanks to the Winthrop Square deal, it is scheduled for a major infusion of funds for maintenance, which might make it an even more attractive destination. The MLK Memorial project is taking an admirably open approach. The group English has formed has already held community meetings, with more scheduled. (MLKBoston.org has all the details.) They want to hear from the city about where the memorial should be sited, among other issues. Inevitably, the question of where to put it taps into deeper issues. Is its logical home Roxbury, the historical center of Boston’s black community? Does placing it downtown speak to King’s universal message of love and hope, or does it exclude the people King fought for? English said he has a slight preference for Boston Common, based on his belief that it would draw the most visitors there. But he is quick to add that his mind is wide open on the subject. Some would argue that the energy — and money — being directed toward a memorial might be better dedicated to addressing the challenges facing the black community — like residential segregation and lack of economic opportunity. But a reminder to live up to the ideas King espoused — and which many of us claim to hold — is important, too. The Rev. Jeffrey Brown of Twelfth Baptist Church says he’s an advocate for Dudley. But he said the most important thing to consider is building a memorial that speaks to the challenges the city still faces. Globe columnist Adrian Walker offers up some suggestions on where such a memorial could go.